In the past, a solid food storage plan was essential to guaranteeing families would have the ability to eat if (and likely when) times get tough. In the last generation or two, however, Americans have become complacent, assuming that there will never be a time that we can’t get in our car, drive to the grocery store, and find exactly what we need or want to eat. Nowadays, those who go out of their way to prepare for hard times are basically mocked as being “Doomsday preppers” or quirky folks gearing up for an apocalypse. Realistically, though, our grandparents had the right idea. 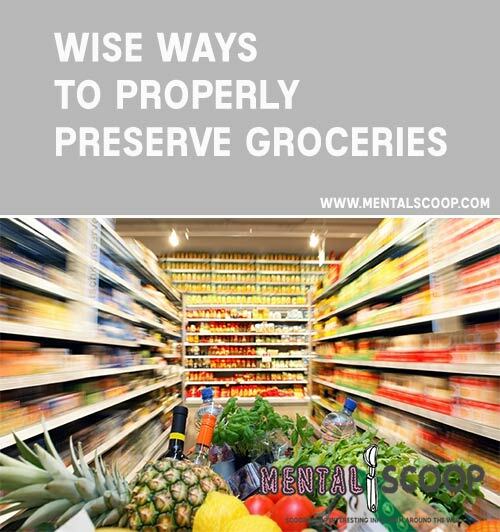 Namely, buy or grow in bulk and then find ways to preserve food until it is needed. In doing so you can not only be prepared in case of an emergency, but also save money in the process. In the following survival guide are some tips to assure that you and your family will never have to go without the essentials. While you might assume canned foods are good indefinitely, most actually have a limited shelf life and should not be part of a long-term food storage program unless they are rotated as part of a regular diet. Older canned food won’t always make a person sick, but they can definitely lose quality and stress the digestive system. Unlike canned goods, freeze-dried foods have a longer shelf life and are quite satisfying and edible, both in the form of meats and vegetables. Without having to reconstitute or treat the items, you can simply break them up and sprinkle them across moist foods. Needed for cooking and calories, oils, particularly vegetable oils should be kept on hand to provide essential fatty acids. Easy to store and tasty, nuts are a great supplement to many other foods. Easy to store and easy to prepare, rice in particular can be a great way to bulk up meals. It is more palatable than other starches like freeze-dried potatoes, and much easier to prepare than wheats and breads. Such items as pancake and waffle mix or cornbread are much more practical than trying to cook bread loaves. In a survival situation, baked bread would be a luxury. A.K.A. Beans, peas, and lentils. Easy to store and cook, legumes mixed with rice can be a great source of protein and carbohydrates, and a staple in a healthy diet. To make legumes palatable day after day, stock up on various seasonings, either in jar form or conveniently mixed packets available next to legumes in your local grocery store. Also stock up on and store salt, sugar, iodine for drinking water, basically anything you may need for cooking and food preservation. Fish oil caplets and hard-coated vitamin pills can keep a long time and bridge the nutritional gap potentially left from other foods. Fiber supplements and magnesium citrate are also recommended to keep on hand. While the shelf life for most things like ketchup, mayonnaise, and salad dressings is somewhat limited (about a year), it’s worth keeping a fresh supply on hand and rotating as you would canned goods. Buy when cheap and store until needed. Rather than going through the effort of reconstituting powdered milk, you can simply sprinkle it onto easily stored grains like oatmeal and add such things as peanut butter and raisins which can store easily and be a great source of flavoring. Coffee, tea, crystallized drink mixes and fortified drink powders can all be stored nearly indefinitely and provide a nice change of pace for someone in survival mode. Buy foods in large containers, but practice how to preserve the portions not used immediately. I, for instance, use mason jars. Fill them completely or draw out excess air with a vacuum pump. There are many canning and storage methods available online. To maximize shelf-life of any preserved items, keep not only oxygen but also light, heat, and moisture to a minimum. For grain supplies especially, exposure to oxygen can allow weevils to destroy food.